Cordyne Industrial Controls offers a full line of electric motor starters and starter packages, including standard and customized starters. Our skilled engineering staff will work with you to select the most effective starter configuration for your application. We carry a broad range of starters and starter packages from the major manufacturers in the industry. If you need a custom starter, Cordyne’s engineers will design the starter, ensuring it meets your requirements and is integrated with other equipment in your system. Starter packages are coordinated between the motor or drive and the starter to ensure the correct design for your system, providing reliability and increased equipment life. In addition, they ensure proper NEMA and IEC ratings for the devices. Starter packages save in equipment costs, as coordinated equipment is designed to work together and does not need to be customized to operate effectively. We carry starters and motor starter packages from GE, Cutler-Hammer, Siemens, and Sprecher&Schuh. 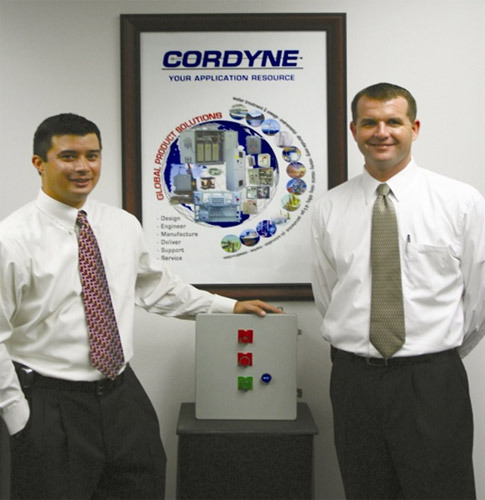 Cordyne manufactures custom motor starters to meet the specific requirements for your applications. NEMA/IEC Explosion-Proof Starters – Harsh environments often require that motors and starters are safe and protected against the environment in order to work effectively and ensure a long product life. Cordyne can design and manufacture starters and packages to meet NEC and ATEX regulations and the exact requirements for your equipment. Motor Starter Packages – Cordyne can design and manufacture custom starters for use in general, outdoor, and corrosive environments. Our packages are available in painted steel, fiberglass, and stainless steel to meet the NEMA and IP requirements for your system. 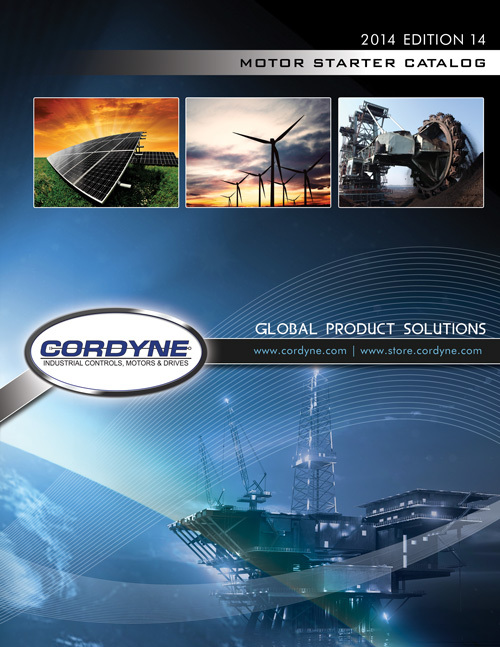 Cordyne has over 30 years of experience in the industrial motors and drives market, and our staff is proficient in developing power project solutions for all industrial applications. We work closely with you to ensure that the motor and drive systems, including starters, are designed and manufactured to exact specifications. If you are using a standard or custom panel in your system, we will make sure it is the most effective component for your needs. CORDYNE, Inc. specializes in custom assemblies to meet all your electrical needs - from our relatively simple “Motor Starters” to our sophisticated “VFD Assemblies and High Voltage Power Stations”. Our experienced and skilled personnel will help you meet your specific application and design requirements. Our experienced engineering staff is available to work with you in selecting the most effective starter or starter package for your application. Whether you are looking for a simple component or a full system, we will assist you in selecting, designing, manufacturing and assembling the system. Cordyne offers the full line of Eaton Cutler-Hammer electric motor starters and starter packages. Cordyne offers the full line of GE motor starters and starter packages. Cordyne offers the full line of Siemens motor starters and starter packages. Cordyne offers the full line of Sprecher + Schuh motor starters and starter packages. Cordyne offers a full line of WEG electric motor starters and starter packages.